Most of my original Muttering Mormon posts are now showing up over at LDS.net, where the good folks there have been very kind about making my stuff look better and expanding the audience. I’ll try to remember to post links here. The latest can be found here. I know you folks at the gym were enjoying a giggle at the sweatband on the scrawny middle aged dude who is only there to ride a bike. I knew it looked goofy when I put it on. It made my bald spot show. But, the thing is, I sweat a LOT, and it sometimes drips on my book when I’m on the recumbent bike. I hate that way more than I worry about how I look. So I go with what works. That’s what us older dudes do. All of my life I’ve had a hard time understanding the eccentric old person. For the first half of my life (and least I hope it was only half) I’ve worried about trying to encourage other people to respect me and like me. I figured everyone else starts off the same way. So what comes over a guy that makes him turn in the skinny jeans and opt for polyester shorts and long white socks? To wake up with wacky hair, look in the mirror, and decide “I can go with that.” To basically tell the world to go jump in a lake? Over the last year, I finally get it. You see, I know you are proud of your guns and abs. And I’m honest enough to admit, you look terrific. My “abs,” to the extent they can be called that, are marked up with a half dozen scars where doctors have taken out organs that are supposed to be pretty useful. No, I don’t do sit ups. But I get up…every morning, without all of my original parts. You do that, and I’ll tip my hat to you then. And all of those weights you can bench press. Zowie. Time was that I was a strong guy, too. Much stronger than my size. Then I was run over by an eighteen wheeler. Fifteen broken bones and a punctured lung. To paraphrase Yoda, “When crushed you are, so good you will look not.” Have a truck dropped on you, and then let’s see what you’ve got. This time last year, you were probably doing what you are doing now. You were here at the gym, lifting heavy things, flexing for girls, and staring at yourself in the mirror. This time last year, I was getting over a coma and being dead–twice–and was about to go another round of trying to check the big ticket on an operating table. I spent a lot of time looking in the mirror after that, too. I saw a wraith. So, yeah, the stairs up to the second floor where the bikes are take me a little longer than they should. But I came back from the freaking DEAD. Scoreboard. My process probably was accelerated by outside events. But I’m not alone. That skinny octogenarian in the white t-shirt and the blue-veined legs marching on the treadmill? Chances are, he’s seen more than you have imagined, endured more than you could handle right now, and he probably has more grit than you can hope for at your age. He likely has overcome more before breakfast than you will face in the coming year. And if he looks goofy, deal with it. He’s comfortable and he doesn’t give a frog’s fat fanny what you think about it. I’m playing Galaga with bonus lives right now. So I’ll read what I want to read and listen to the music I want to listen to. I’ll speak my mind when I feel like it, and if it shocks someone in the room, I’ll be blissfully unconcerned. I’ll wear what I want to wear. If I don’t want to go someplace, I’ll tell you that. And I’ll wear a terrycloth headband so that I don’t sweat on my books. At the same time, I’ll enjoy all of the other privileges that come with not being twenty anymore. I’ll love my wife deeply and be completely devoted to her. She’s getting older, too, and with each year is that much better than some skinny little kid with too much makeup and implants. I’ll tell people I love them and not worry if it is cool or manly. I’ll hug the people that matter. I’ll take pride in my faith, even if others aren’t on board with it. I’ll stop during a 5K walk and take a picture of a woodpecker. Because woodpeckers. I will find joy in a breath. I will explore the universe by holding my sweetheart’s hand. I will play the back nine with a joy that I was too scared to embrace during the first 9 holes. And, even though it is likely in vain, I will urge you to live a fuller life now, before it is too late. 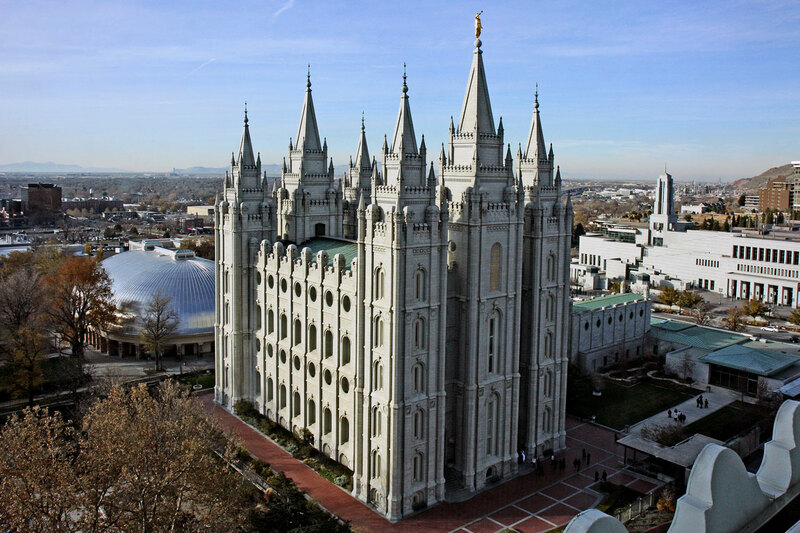 The folks over at LDS.net asked if I would start writing for them. So there will be some original stuff popping up over there, as well as some reposts of older stuff. I’m flattered and really excited about it. First article went up today. Check it out! As a missionary, explaining how the Atonement worked to investigators (the three that I taught in two years) was deceptively easy. Following the discussions of the Atonement found in the Book of Mormon, we would explain that the Atonement is the means of overcoming two deaths: physical death and spiritual death. Physical death is a separation of the spirit and the body, and through the resurrection, Christ brings those two together again, never to be divided. Spiritual death is the separation of us from God, which Christ overcame through His suffering, bringing us together again, never to be divided. The concepts of physical and spiritual death, and how the Atonement defeats both of them, is scripturally and doctrinally sound. 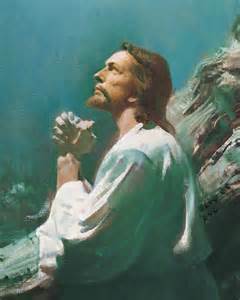 The reality of these aspects of the Atonement sits at the heart of what we believe as Latter-day Saints. But I believe that the conversation shouldn’t end there when we discuss the saving power of the Atonement. There is a third death from which Christ redeems us. The third death is despair. It may be defined as the separation of our hearts from hope. I have known something of this third death. Despair has a destructive capacity unlike anything else I have experienced. It consumes us from the inside and so poisons our minds that we actually seek our own destruction. I have attended more funerals for suicides than I thought I ever would (I anticipated something like “zero”). I have talked with one of despair’s victims in the very moment he considered taking his own life. I desperately invoked the power of hope, endeavoring with no small degree of panic to inject some dim light into the darkness. We learn in the seventh chapter of Alma that one of principle reasons that the Plan of Salvation required Jehovah to descend to mortality as Jesus was so that He could experience the sufferings that all of us feel as part of our own mortal sojourns. Alma explained that the Spirit “knoweth all things,” meaning that the Spirit can observe, understand, and sympathize with our plight, but Christ actually experienced all things “according to the flesh,” meaning that He knows perfectly our trials and therefore can perfectly empathize and perfectly succor us. “Succor” is a fancy Latin-type word that means “the lifesaver thrown to someone drowning in despair.” The Savior demonstrated repeatedly during His ministry that He has power over the storms in our lives. Calming the tempest and walking on troubled waters are impressive miracles, but their utility is limited. The real miracle is His ability to calm the tortured tempests of our souls, and to teach us to walk calmly when all around us is madness. The scriptures are replete with references to the Savior’s ability to overcome the third death. The first two words announcing the coming of the Christ child, as spoken to the shepherds, were “Fear not.” Christ was seen in vision by Isaiah as the Prince of Peace. He promised peace and comfort to his followers. He said the the Holy Ghost would come as a Comforter, and that He, Christ, would be another Comforter. Paul referred to our Father in Heaven as the God of all Comfort. Enduring mortality well requires striving, and our adversary understands that. He knows that if he can get us to give up, he will win. Thus he spreads the gospel of despair. He exploits every addiction, every heartache, every personal disappointment. He seeks to drive wedges into every crack in our dreams and aspirations, hammering at them relentlessly until he has created a chasm between us and the hope promised through the Atonement. Our Heavenly Father’s Plan is a Plan of Happiness. It is the means by which we defeat death, sin, and despair. It is the blueprint for joy here and now. As we invite Christ to take a more prominent place in our lives, His very presence drives out despair. We are redeemed from fear and hopelessness. We are restored to the companionship of hope, and as with the other two aspects of the Atonement, that reconciliation can be forever. I recently had a discussion with young man wrestling his way through some testimony issues. As we talked through some of his questions and frustrations, one of the things he mentioned was experiencing feelings of inadequacy during fast and testimony meetings when one person after another stood before the congregation and ticked off all of the things they “knew.” “I know Joseph Smith was a prophet.” “I know that Christ lives.” “I know the Book of Mormon to be the word of God.” This sincere young man felt that either he wasn’t getting the spiritual confirmations everyone else is getting, or these members are overstating the strength of their testimonies. As I thought about this, I realized that he has a point. I cannot remember the last time I heard someone couch their testimony in terms of what they “believe,” as opposed to what they “know.” For me, much of my testimony is based upon beliefs, not iron-clad knowledge. Like most people, I have not enjoyed dramatic spiritual manifestations that would justify bold announcements of what I know. But I tend to state my testimony in the same “I know” terms. Perhaps it is just a matter of social convention. When primary children are being taught how to give their testimonies, we tend to teach them to use “know speak” instead of “believe speak.” So we have three-year old Sunbeams testifying that they know the Book of Mormon is true, even though they can’t read the front cover of the book, and knowing that Thomas S. Monson is a prophet when they might not be able to pick him out of a police lineup. We learn early on to use that language, and we stick with it. It might also be a pride thing. If ten people before me have announced what they know, do I look like my testimony is lacking if I say that I believe? Are people going to think that I’m hedging my bets? There is scriptural authority for using either term. Alma speaks of testing our beliefs with the metaphor of planting a seed. When we act upon our beliefs and see positive results, in Alma’s view, we have a knowledge of truth, because we have seen its results. From that standpoint, many of us really do “know.” We’ve seen the positive effect on our lives from living the commandments, and having put gospel to a test we “know” that it is true. On the other hand, we have the testimony of Peter, who was asked by the Savior in the sixth chapter of John whether the Twelve would leave him as did many other disciples. Peter answered with “We believe and are sure that thou art the Christ.” This is a slightly nuanced approach. It says that even though there may be things in the gospel that are unsettling to us, our belief is sufficiently strong to make us “sure” that the gospel message is true. It reminds me of Nephi saying that he doesn’t know all things, but he does know enough to persist on the gospel path. I think that the virtue of belief needs some rehabilitating in the Church. The truth of it is that when we speak of knowledge with reference to our testimonies, we typically are referring to our level of confidence in what we believe. We believe so strongly, we feel comfortable labeling our convictions as knowledge. We believe, and are sure. It may be more helpful to those new in the faith or momentarily struggling in their testimonies, to hear that we remain faithful because of what we believe. The wonderful hymn, “I Believe in Christ,” is a powerful example of a moving testimony based upon belief. 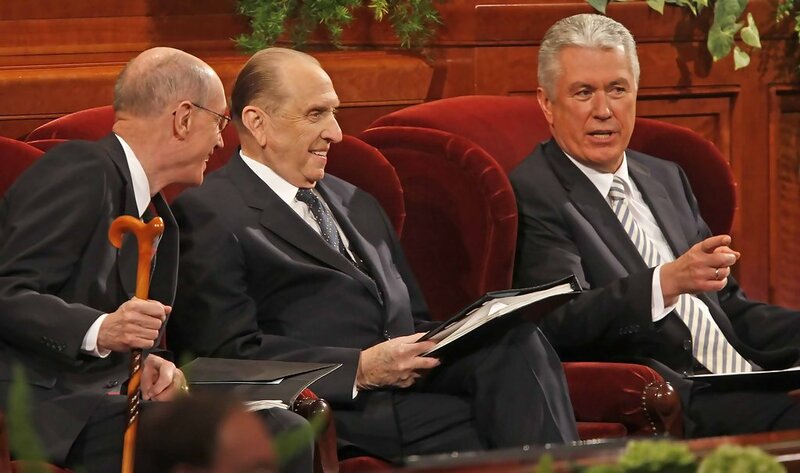 As an apostle, a special witness of Christ, Elder Bruce R. McConkie certainly would have been justified in using “know speak.” I am quite sure that his testimony was far more developed than anything I can hope to enjoy in the near future. But the repeated expression of “I Believe” not only is poetic, it is also honest and hopeful. And the strength of the testimony suffers nothing by being expressed in terms of belief. I don’t believe in “rules” for testimonies, as do some people in the Church. Bearing a testimony is not a performance, nor does it need to confirm with rigid requirements as to content. So if someone wants to talk about what they “know,” I assume that they are using the word in the Alma “seed” sense and not the Joseph Smith “grove” sense, and I am fine with that. And if someone tells me what they believe, I welcome them into the fellowship of those of us who have found that belief is sufficient to weather the storms that cross our paths. And for those who don’t know that they’ll ever know, I suggest that–for now–you give belief a chance.